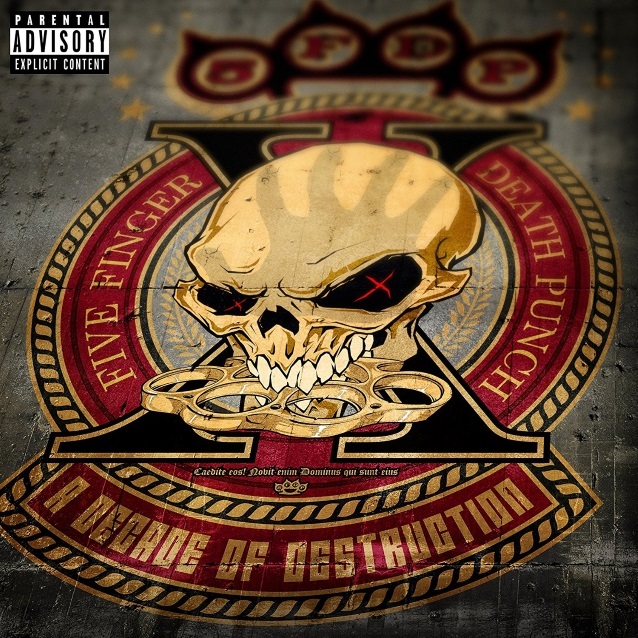 FIVE FINGER DEATH PUNCH‘s new single, “Trouble”, has reached No. 1 on iTunes Rock and Metal charts around the globe and has garnered over 1 million streams worldwide in less than a week. The single has also hit No. 13 on Spotify‘s Global Viral 50 chart and No. 31 United States Viral 50 chart, as well as had over 646,800 views on VEVO and 540,000 views on YouTube of the official song and lyric videos, respectively. The release has broken records for the band and is their biggest streaming debut for a lead single in the U.S. with over 470,000 streams. The increasing success of “Trouble” furthers the band’s path of exponential achievement, as they have amassed over 2.3 billion streams, over 8.8 million song downloads and over 4 million album sales in the US (close to 8 million records globally) to date. Their previous six albums have all certified gold, while the 2009 critically acclaimed album “War Is The Answer” has been certified platinum, along with the single “Bad Company” from the collection. FIVE FINGER DEATH PUNCH is also one of the most popular rock bands streamed on Spotify today — they are currently No. 14 on Spotify‘s Top 21 Rock Acts in the U.S. surpassing major groups such as QUEEN, LED ZEPPELIN, AC/DC, PINK FLOYD, ARCTIC MONKEYS, MUMFORD & SONS and THREE DAYS GRACE. 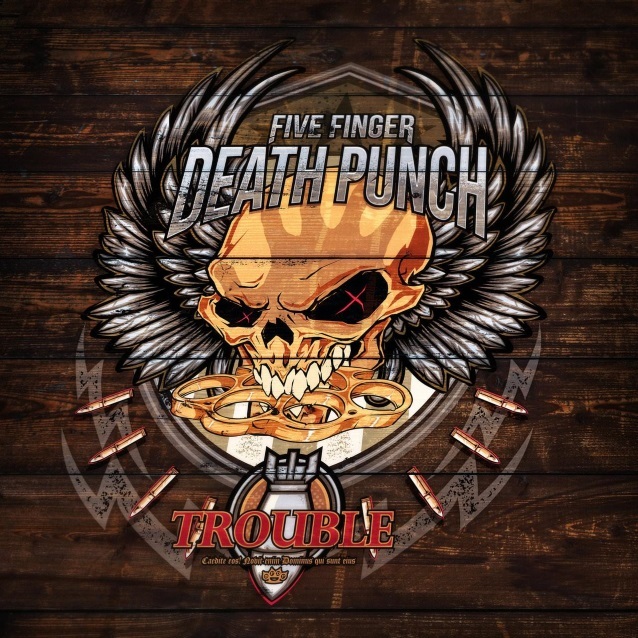 “Trouble” is the first piece of new music the band has released in over two years, and serves as the lead single from FIVE FINGER DEATH PUNCH‘s upcoming compilation album, “A Decade Of Destruction”, which is due out December 1. FIVE FINGER DEATH PUNCH will kick off its biggest European arena rock tour of fall 2017 today in Moscow, Russia. They will be joined by co-headliners IN FLAMES and special guests OF MICE & MEN starting November 14 in Helsinki, Finland. A new FIVE FINGER DEATH PUNCH full-length studio album — which has been completed for almost a year — will arrive in early 2018.